The Windsor Park community has Arizona manufactured home models by Champion. These home models provide wide-open living areas, multi-purpose rooms, and amenities such as en suites, walk-in closets, and covered porches. 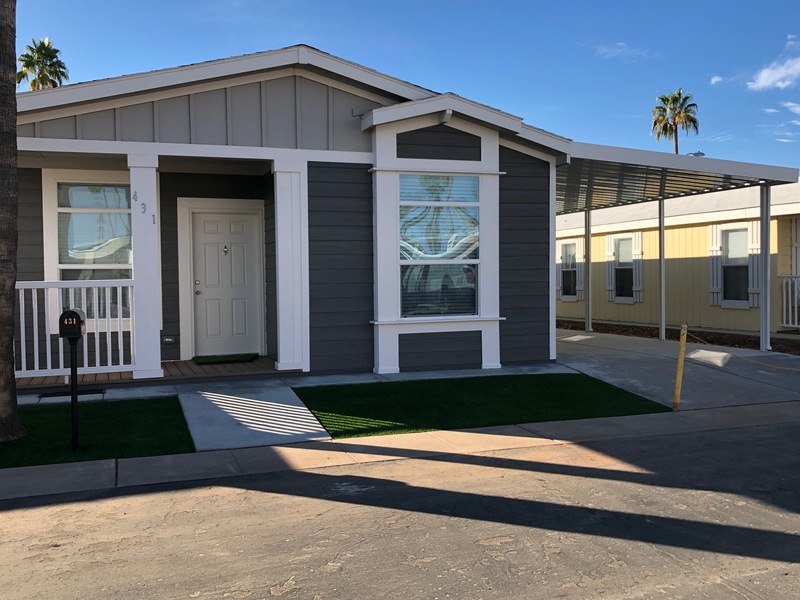 Other common home features you’ll find in our Arizona modular homes include screen rooms and sheds, skylights, bay windows, different landscaping packages, and stylish breakfast areas adjoining the kitchen. Easy to settle into and enjoy, these units are smartly designed, adaptable, and ready to satisfy your unique layout preferences. When you are looking for active adult communities, there are few who could parallel the depth of options and the value of Windsor Park in Mesa, AZ.